Twenty three books in and the â€˜Horus Heresyâ€™series have become the Black Libraryâ€™s flagship series. 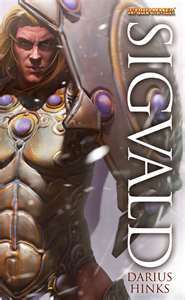 The accolade is deserved for the most part as the majority of the books have been strong, at least as good as anything else BL produces and with the added fan service of dealing with the conflict that basically sets up the 40K universe. Itâ€™s a little hard to imagine what reading these is like for a newcomer; there are enough in-jokes and winks to current 40K lore that I definitely wouldnâ€™t recommend these for a newcomer to the Black Library.Â But â€˜Horus Risingâ€™is the book that starts it all, and for a novel tasked with not only world-building but subverting an already-built-and-familiar world, it does a pretty good job. Until everything goes to hell. 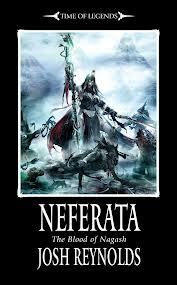 And this is what I like about the â€˜Heresyâ€™series. In the other 40K books everyone is resigned to doom and the only victories are pyrrhic. 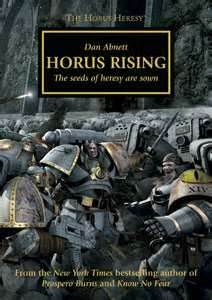 In â€˜Horus Risingâ€™, under Abnettâ€™s keen eye for detail and strong characterisation, we are shown how things are meant to be had not humanity beenâ€¦ well, humanity. â€˜Risingâ€™gives you a lot to take in, but you never feel overwhelmed. There are some excellent set pieces and concepts flying around, and a real sense of the characters being lost as things start to go wrong. There are a few problems with the novel; the ending is a bit of an anti-climax, except for the last line of the book (which probably wonâ€™t make a whole lot of sense to new fans either) but the plot just kind of trails off. This is very clearly BOOK ONE of a long series, but I think with the sheer amount of already established canon to choose from they could have chosen a slightly ballsier introduction to the Emperorâ€™s soon-to-be-traitor son. This bookâ€™s a foundation. A starting point. And thatâ€™s fine, but youâ€™re going to have to read on to get a completely satisfying experience. Which I guess, having read the other twenty two books in the series, is no bad thing.